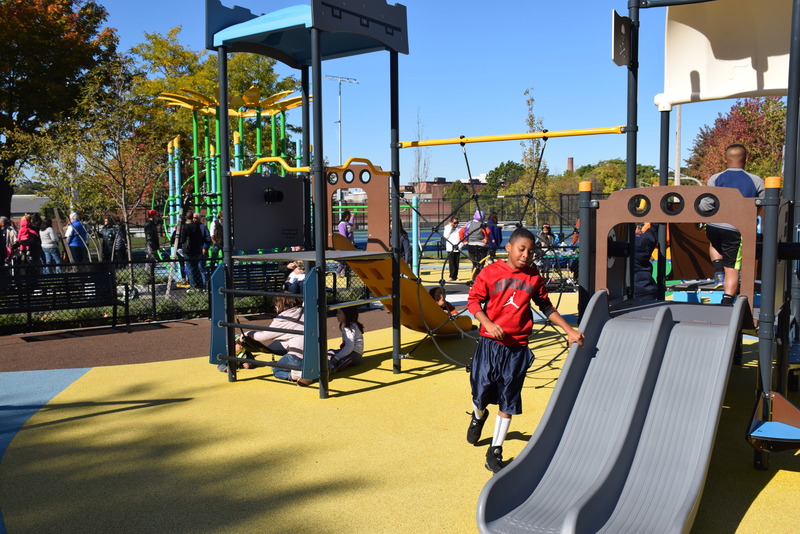 Marcella playground located in Roxbury, MA is a $1.8 M comprehensive renovation of a park surrounded by good housing density. Since the redesign of the park, all aspects of the park has been very well-used as observed during some site visits. Warner Larson facilitated several meetings involving all age groups in the community including a meeting at the park with the children and their parents for selection of the play type and equipment. 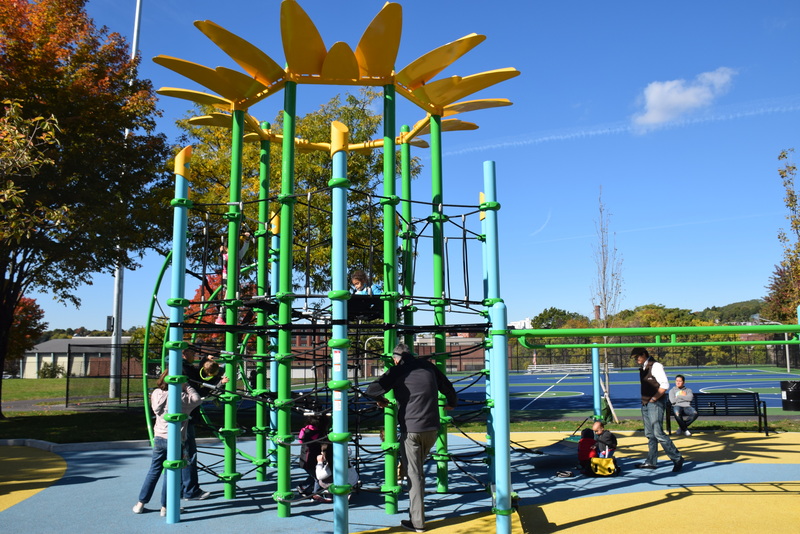 The full renovation consisted of walking paths, new playground with splash pad, play structures for 2-5 and 5-12 year olds, performance stage, passive picnic areas, basketball and tennis courts, complete with a full sizes baseball field and sports lighting thereby increasing the fields usage. 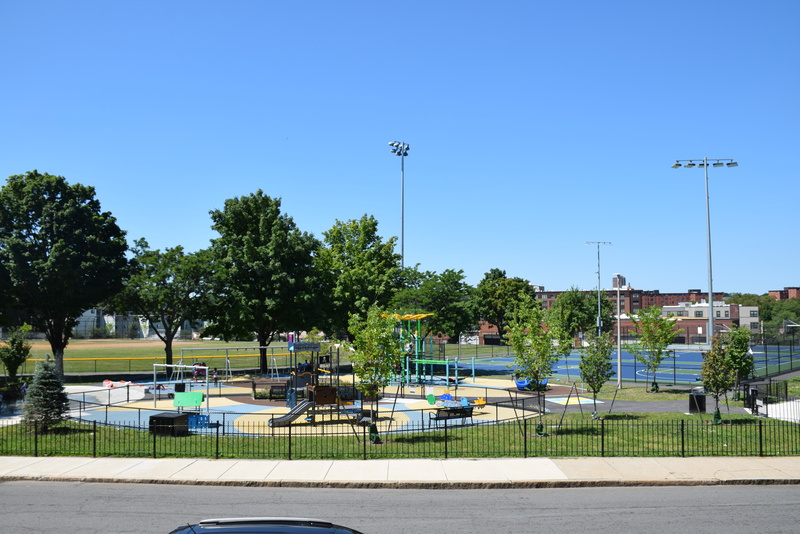 By removing the perimeter fencing around Marcella, we opened the park for a welcoming entry while creating an outfield fence to enclose and protect the new baseball field from passing foot traffic through the park and encouraging people to take the new path around the park.. The old concrete bleachers besides being in disrepair were visually obstructive and provided unsafe conditions. By removing those and the retaining wall on Ritchie Street by re-grading the land, it creates a welcoming safe accessible environment for all to enjoy the games. In addition, some of the existing sloped topography provides further spectator seating on the lawn. Another technical challenge of some of the hard courts being on soil with tendency to settle was addressed by constructing the tennis court using post-concrete technique thereby remediating the issue and providing safe, longer life-span use. 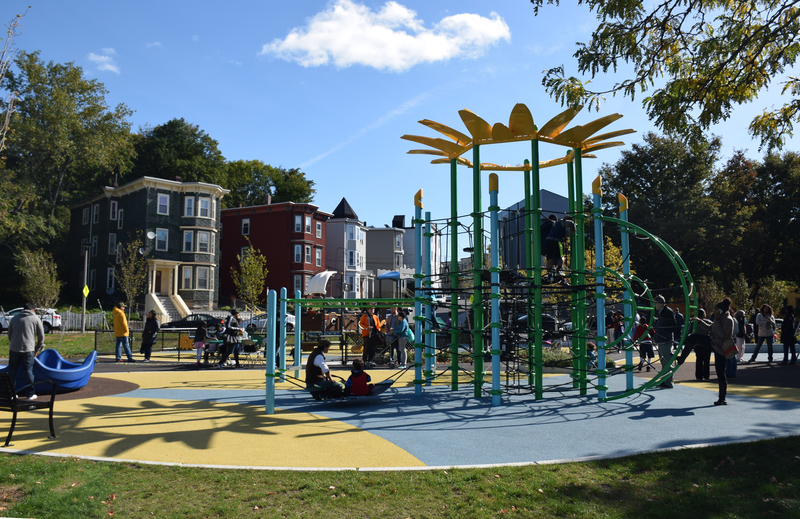 The playground design was inspired by Sunflower to honor deceased Samantha Sadd, a well-loved community member who devoted herself to Roxbury Youth. 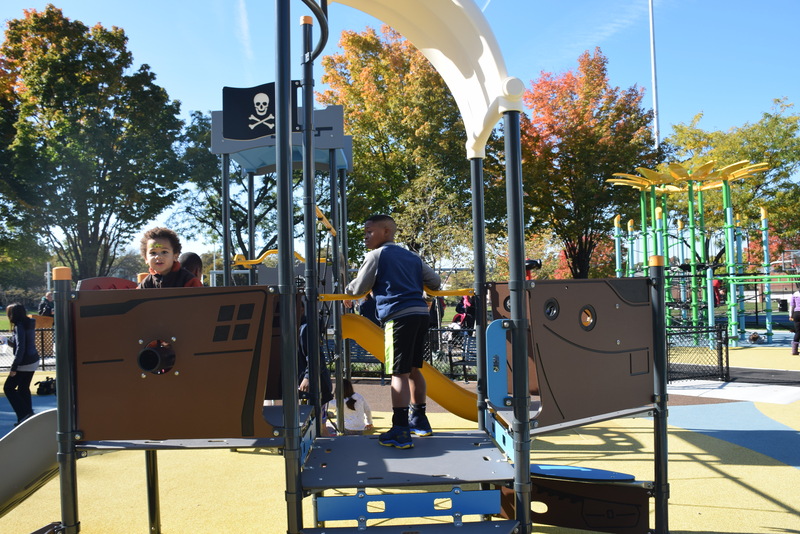 By working with the playground manufacturer, Warner Larson was able to customize and give it an unique identity that is visible as you drive past the park. As believer of sustainability principles, the old wrought-iron fence was refurbished and a part of it was retro-fitted at the Ritchie Street entrance to provide a cohesive look to the entire park.